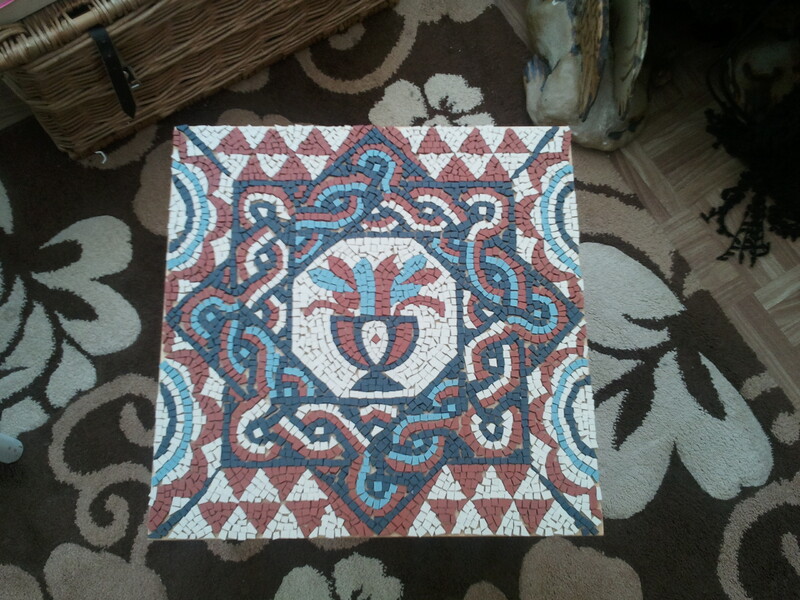 Tools down and time is up, another mosaic has been completed and I must say, I don’t think it looks to bad. However, before I start rambling on here are a few photos of it in progress. You may or may not have noticed that when I make my mosaics I tend to start in the middle and this is no accident. 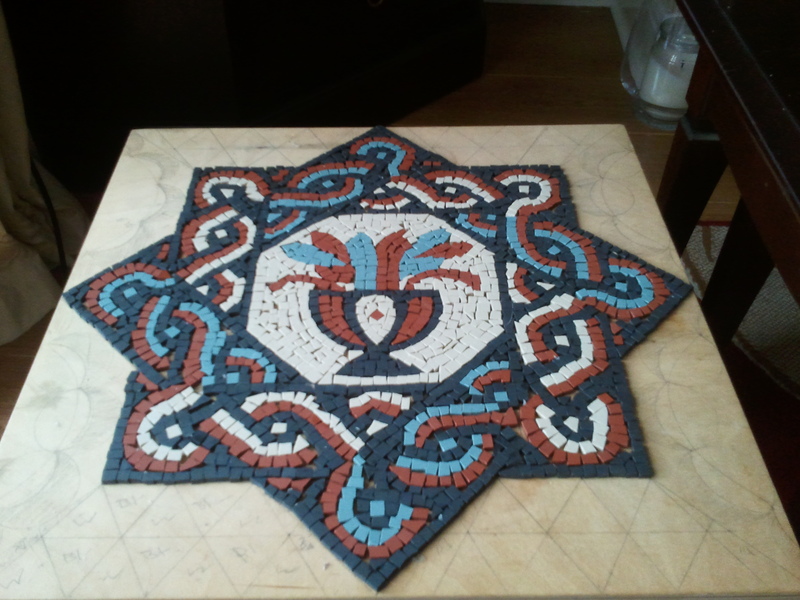 If you start laying tesserae from the middle it allows you to focus on the central image and radiate outwards, this is important as if there are any flaws in the design, and that can happen to the best of us, it allows you to edit it as you go. If you start from the outside in then it gives you less room to play around with if something goes wrong. 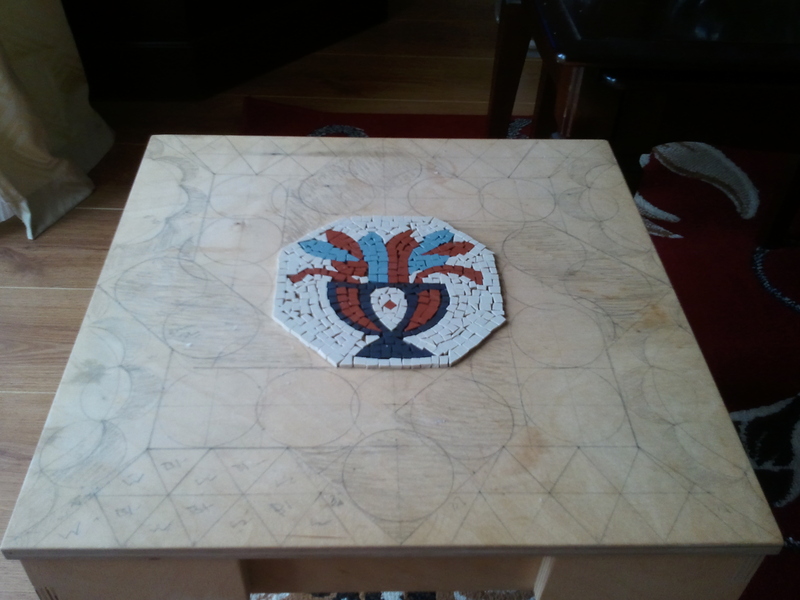 Personally I also find it easier to judge its symmetry from the middle outwards rather than inwards, Nevertheless I wouldn’t recommend trying to wing the pattern, I always spend a significant amount of time planning, drawing the pattern and testing colour combinations before applying the tesserae. The side patterns of this section were rather pleasing to produce, and they work well too, lighting up the piece to give it a bit more life. And the mosaic is done, all that remains is to grout it but since that’s the messiest part of the process I’ve been building up a few to spend a day getting the grouting out of the way in one go. 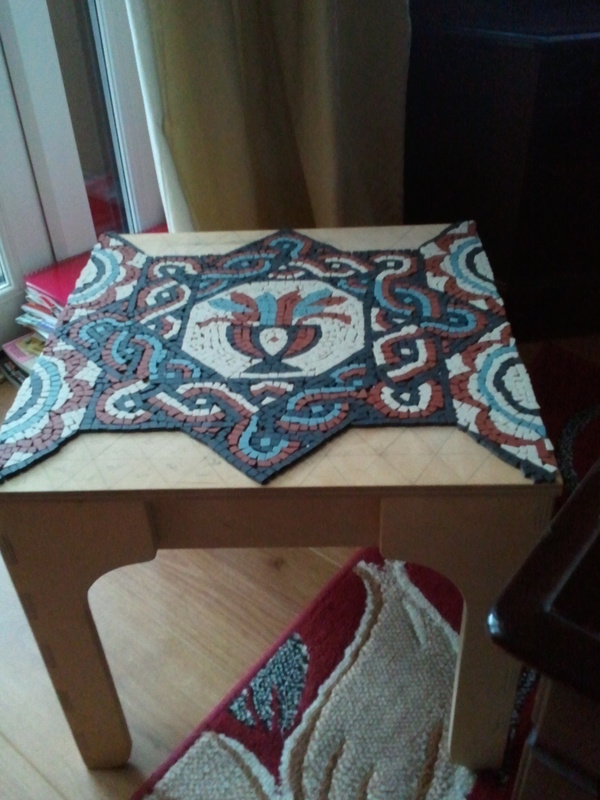 But apart from that this mosaic is done and I’ve down tools for now. Your mosaics are gorgeous! I wouldn’t have the patience I don’t think… I love the colors and how well they go together in a contrasting way, you know? Thank you, I’m glad you like them! Once you start time rather flies, its quite relaxing to do, I’m very happy with the colours too.